Non-speaking characters: every script has them, and for good reason. A non-speaking character can be an extra, a background character, or even a character that literally doesn’t speak – maybe their sole purpose is to intimidate others like the re-animated Mountain in Game of Thrones, or maybe they’re an obsequious orderly who brings coffee to your protagonist without ever uttering a word. 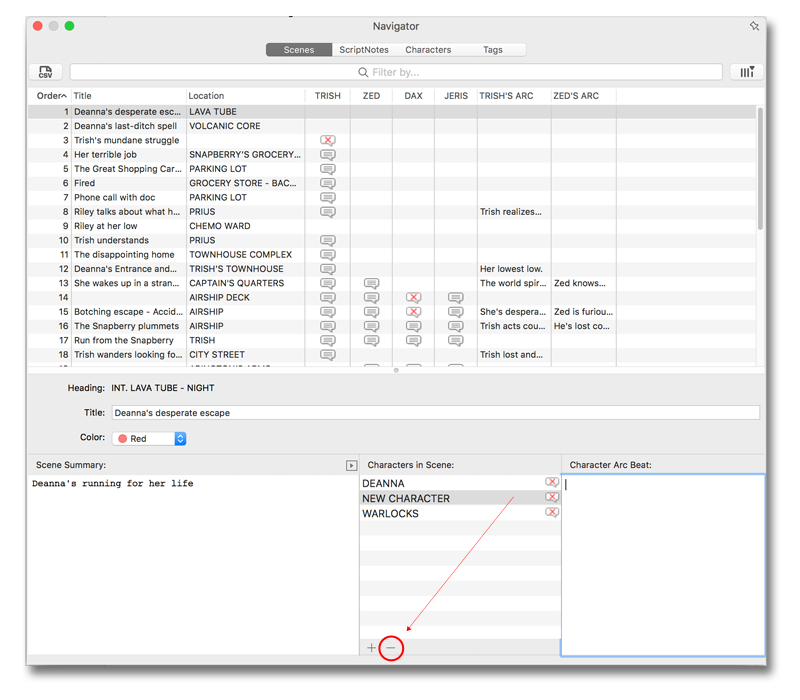 In any event, Final Draft automatically tracks and displays information about these characters in the Scene Navigator, and it’s in the Scene Navigator that the non-speaking characters can be added to or removed from a scene. Previously, Final Draft stored non-speaking character information in the Character Navigator; in the latest build, Final Draft 11.0.2, it’s been moved to Scene Navigator. 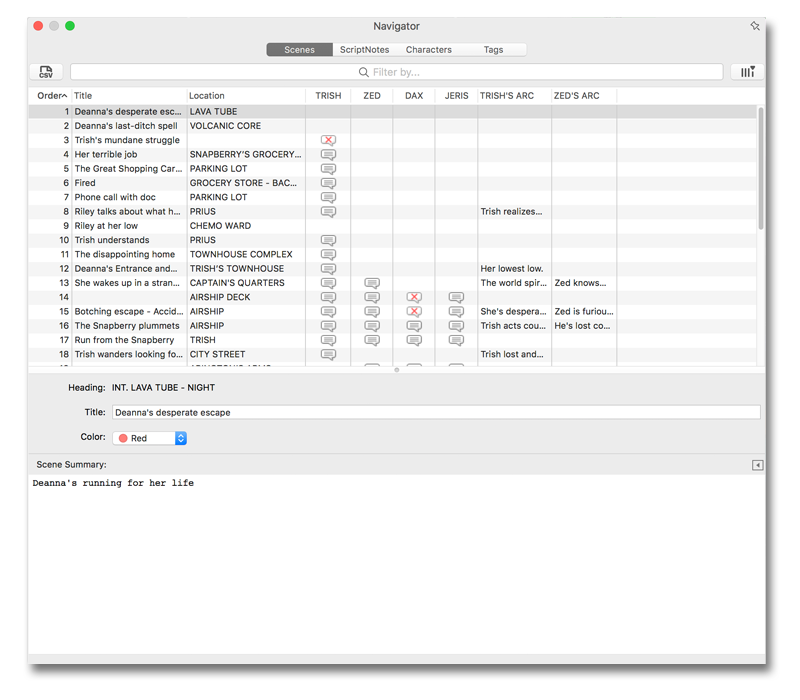 This new configuration allows writers to see all of the scene AND character information simultaneously making the Scene Navigator even more versatile than before. 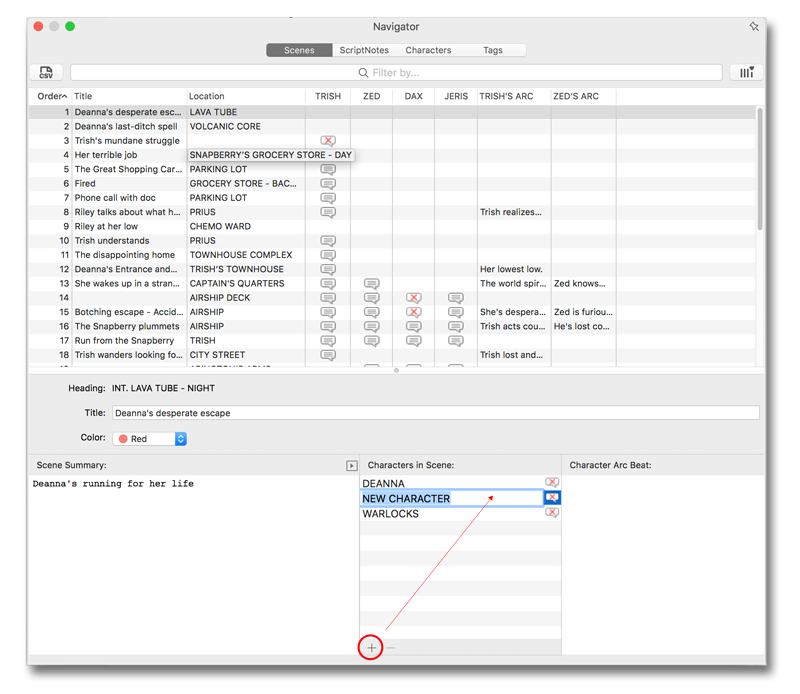 Adding or removing Non-speaking characters in a scene is as easy as going to the Scene Navigator, choosing the scene that the character needs to be added to or removed from and hitting the “+” or “—“ icon in the “Character In Scenes” window toward the bottom of the Navigator. 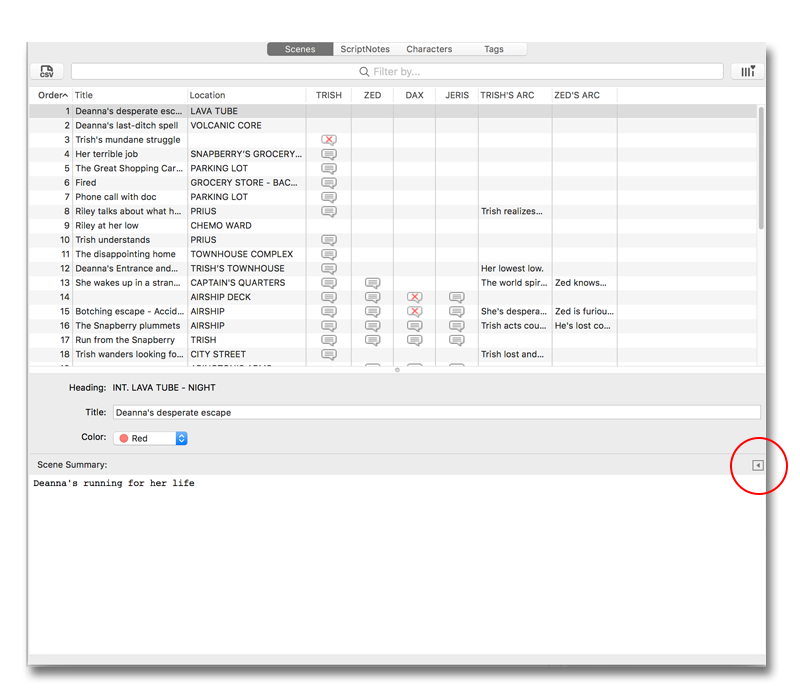 If the “Character In Scenes” window isn’t displaying, click the left-facing arrow at the end of the Scene Summary bar and it will show up. If a non-speaking character is being added, hit the plus icon, type in the name of the character and click away from the text field to commit the change. If a non-speaking character needs to be removed, highlight the character and choose the minus icon. Now you can add or remove non-speaking characters with ease!